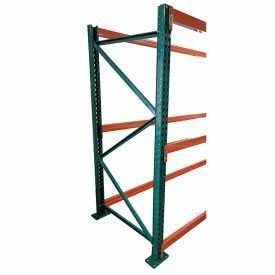 Protect pallet rack frames with column guards. 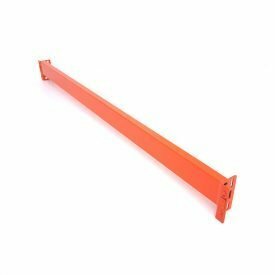 Forklifts have a tendency to damage pallet rack within warehouses. In a worst-case scenario, damaged racking can cause a complete racking system to collapse. 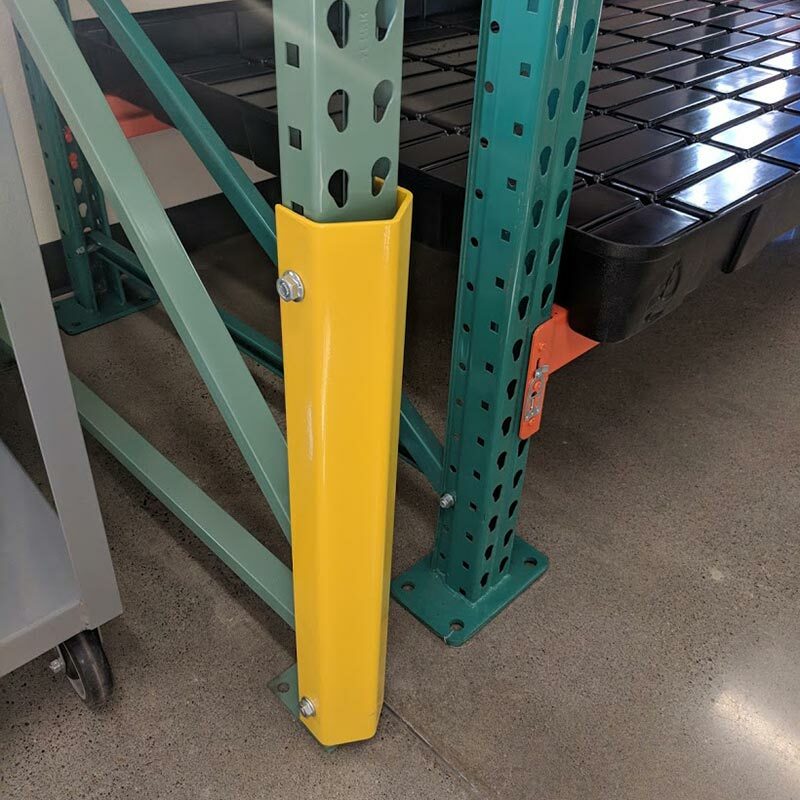 Column guards significantly reduce the likelihood of damage to pallet rack uprights. 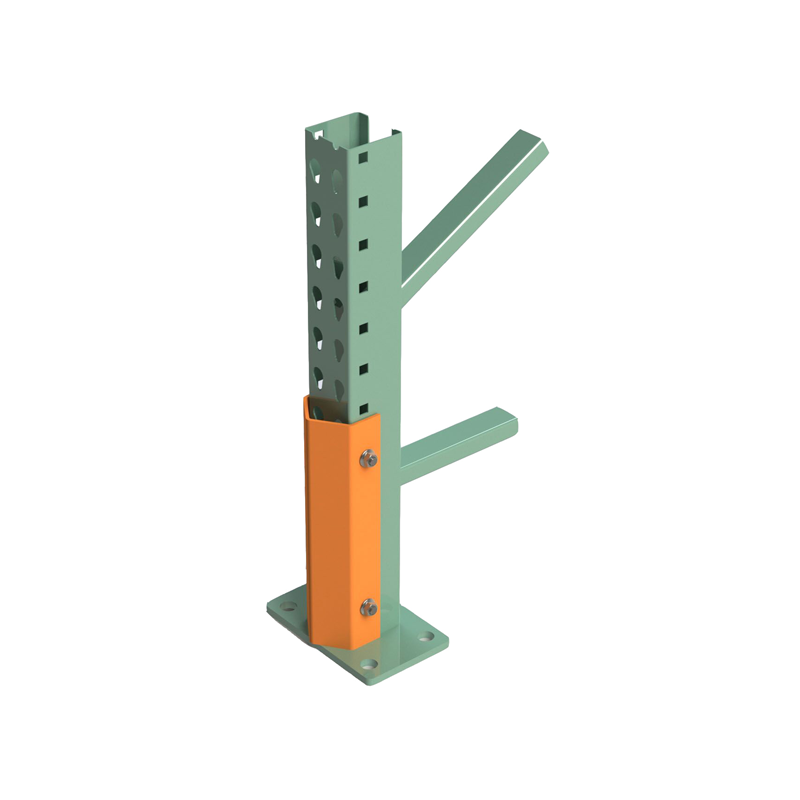 When an upright with a column guard is hit with a forklift, most of the energy is absorbed by the column guard. 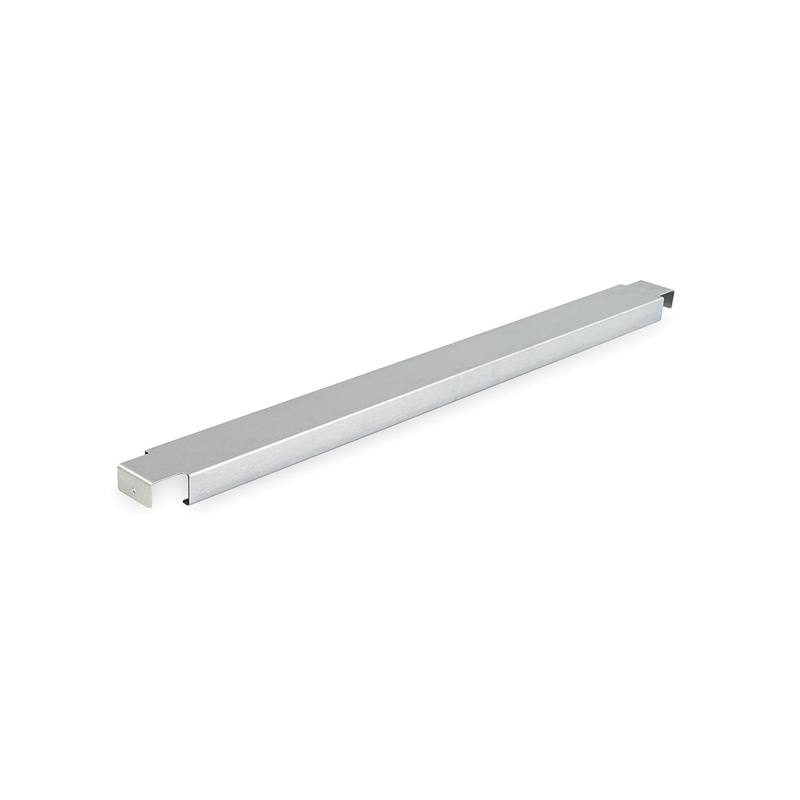 Damaged column guards can be easily and inexpensively replaced. 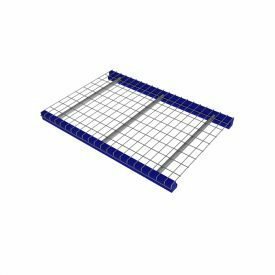 and used pallet rack sales.